My friend, Miranda’s little girl, Sophie…needs your prayers! Miranda kept my two girls for me while I was working full time a a while back. Addi LOVES Sophie and we have enjoyed getting to know them. Read this & PLEASE take time to pray for this sweet family. If you live in Quitman and can participate in these activities, please do!!! 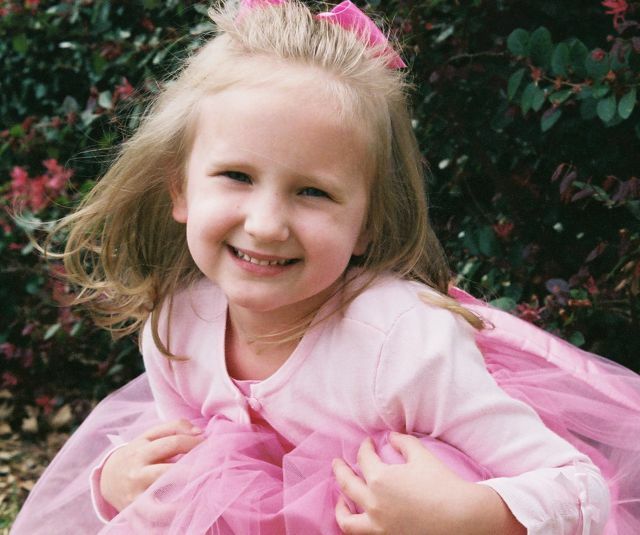 “Cents for Sophie” Fundraising Begins QUITMAN — A number of community events in July will help raise money to benefit 5-year-old Sophie Asmussen of Quitman, who is bravely battling a brain tumor. Sophie was diagnosed last July at age 4, which led to two surgeries and two chemotherapy regiments, which failed to stop the tumor from growing. Healing of this nature comes at a very expensive price when the therapies needed are not covered by insurance. Sophie’s treatments at Envita Medical Center will begin on July 8, at a rate of $7,000 per week of treatments, which is designed around a four-day, three-hours-a-day cycle. Sophie will need up to 10 weeks of treatments, depending on how quickly she responds. A fundraising group was established just last week and decided on a multi-faceted approach to give Sophie every chance to heal. • On Thursday, July 3, look for people in pink throughout Quitman. Those wishing to donate can by driving through the parking lot at Jim Hogg Park, by stopping at the traffic light in front of the courthouse, or by passing through the intersection of highways 154 and 37 and tossing your change in the pink buckets. Or, you may stop off in the parking lot of Brookshire’s. After the day’s efforts, you will see “Cents for Sophie” cans, jars, and buckets all over East Texas, from Sulphur Springs to Tyler and everywhere in between. • On Sunday, July 13, the Quitman city pool will be open to swimmers from 2-5 p.m. The entry fee is donation only, to benefit “Cents for Sophie.” The surrounding communities are encouraged to bring their children for a swim in support of Sophie. For more information, contact Vicky Selman at (903)383-3558. • Local businesses or individuals also may sign-up to sponsor treatment time for Sophie — one week’s cost is $7,000, one day is $1,750, one hour costs $585, 30 minutes is $292, and 15 minutes is $146. There are opportunities at every level for sponsors to directly purchase treatment time for Sophie. To donate, you may contact City National Bank, Bank Texas, Wood County National Bank, or any of their branch offices. For more information about any of the above events, contact Kevin Cameron during the day at (903)763-2800, or evenings at (903)763-0013. -T-shirts with the “Cents 4 Sophie” logo will also be available beginning July 3. Adult shirts will be $15 and children’s sizes (Youth S-M-L) will be available for $10. This will be a great way to show support and have a fun PINK tee for the summer! If you’d like to order in advance feel free to email Kevan Burroughs atkburroughs@peoplescom.net or call at (903)850-0919. I am supporting Sophie and her family with my prayers and I have asked my church family of House of Praise in Winnsboro to pray also. Several have asked me if ther is a way to keep up with how Sophie and her family is doing with updates so that we can continue to stay in touch with the families needs and keep praying. If there is a web page or blog that we can access about sophie would you please e-mail me this information. Andrea – I do not know of a blog or site that gives updates on Sophie at this time. But if I hear of one, I will definitely let you know! I’m sure the Asmussen family appreciates your prayers. Thanks for your comment!